Name: January Membership Luncheon - "CLICKSAND - How Online Marketing Will Destroy Your Business"
Join us on Thursday, January 17, 2019, as Bill Troy, Author, Speaker, and Inc. 500 CEO of Civilis Marketing and TroyResearch, presents, CLICKSAND: How Online Marketing Will Destroy Your Business. In highlights from his new book CLICKSAND, Bill compares giant firms like HubSpot, Google and LinkedIn as well as local agencies and consultants in towns big and small to snake-oil pitchmen of the 1800’s – and he shows how unsuspecting business owners are sucked into their trap every day. It’s a completely different perspective that will WOW you! Bill Troy is an Inc. 500 CEO and a natural-born contrarian who has helped global brands like Sony, Disney and Nestle see the world from a different perspective for 25 years. Bill’s book CLICKSAND: How Online Marketing Will Ruin Your Business (And The Unlikely Secret To Saving It), is an explosive wake-up call and warning for business owners about the dangers and hypocrisy in online marketing. 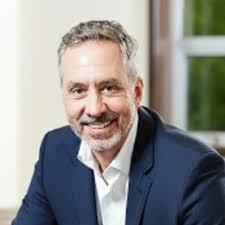 As CEO of Civilis Marketing, Bill and his team help clients drive growth through the company’s unique REALationships program, a systemic process for building and nurturing authentic, high-value individual business relationships.